LARES, PUERTO RICO — It’s been 15 months, but the mere mention of the devastation causes Lourdes Perez’s chin to tremble. Tears fill her eyes. Everything was lost. The coffee trees. The plantain trees. Everything from the farm she and her husband, César Oliver, had been building for more than three decades. 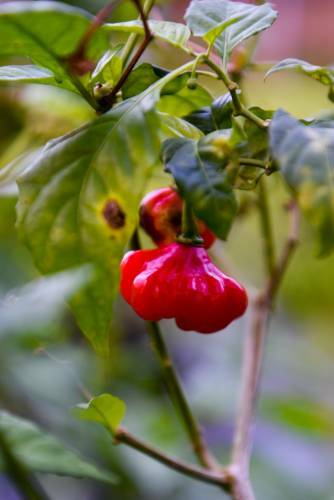 There is also modest evidence of revival, from building materials to sweet pepper marmalade, Lourdes and César’s attempt to create a little revenue in the aftermath of the storm. “The most important thing that we need to do is rebuild the farm so we can again give the community a place in which it can work,” Lourdes says. Before the storm, the farm employed around a dozen people in the community — primarily seniors who don’t have many sources of income in the mountainous region. 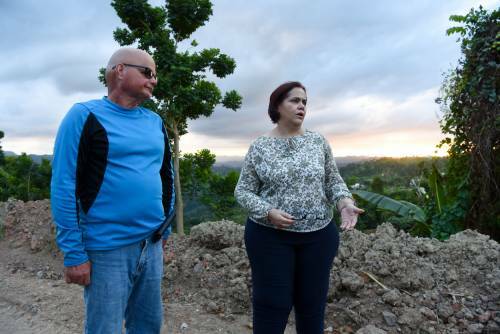 González-Castillo led a group of representatives from ministries in the Presbyterian Mission Agency on a visit to the farm Dec. 12 to see how the church might be able to assist the couple revive the farm. 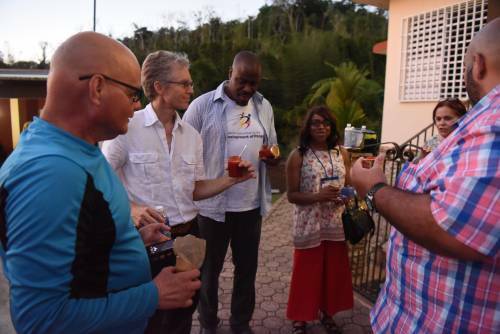 The group visiting the farm included representatives of the Presbyterian Hunger Program, Self- Development of People, Presbyterian Disaster Assistance and Special Offerings. Programs are funded by the One Great Hour of Sharing Special Offering. Click here to give to One Great Hour of Sharing. 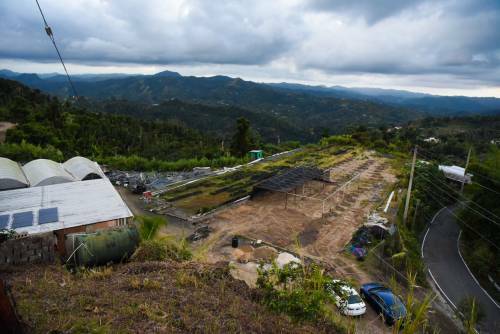 The farm was one of many projects visited by the group and will be considered as a potential partner as the three programs discern how to best support the recovery in Puerto Rico. One possibility, Kirk said, is establishing a Presbyterian Volunteer Host Site at nearby Camp Guacio, where there’s potential for volunteer groups to come lend a hand rebuilding the farm. While some of the work must be done by trained professionals, there are also jobs for volunteers to do to revive the struggling farm. Across the board, the visitors said they were struck by the couple’s resilience and commitment to the community. “You get this sense of hope, and it is real hope,” said Alonzo Johnson, director of Self-Development of People. “It’s not a blind hope. It is a hope that is deeply rooted in action. And they could have, easily. After the storm, César and Lourdes could have left Lares. Special Offerings director Bryce Wiebe recalled Lourdes talking about being re-energized by a man who visited them after the storm. It wasn’t because he could offer help, but because he needed food. Lourdes’ family is from Boston, but they spent a lot of time in Puerto Rico. When she and César married 32 years ago, they opened the farm his uncle once owned. They eventually began hydroponic farming, growing plants in a nutrient-rich solution as opposed to soil. At the time of the hurricane, the farm was operating completely on solar power. The storm damaged one of their banks of batteries, but they still largely use solar to power a community washer and dryer as well as a refrigerator to keep insulin cold. After the storm, they had offers to leave. Friends in Oklahoma offered the couple land so they could start over there and get away from a situation that, 15 months on, has improved only marginally. “We said, ‘No, we can’t leave our community,’ ” Lourdes says. Since the storm, the two have devoted themselves to rebuilding the farm, with little help from the government. Lourdes says the first outside entity to visit was CNN. 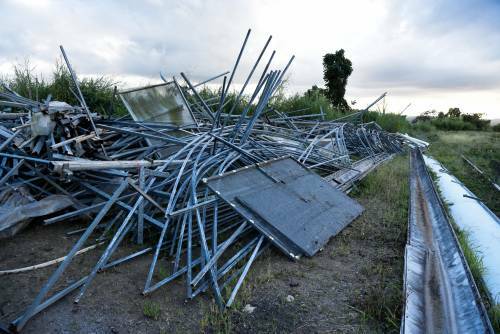 And they need substantial help to rebuild structures and re-establish crops. But there was another devotion that holds the farm together, in evidence during the Presbyterian Mission Agency visit. Lourdes responded, “He’s my hero,” as they embraced.